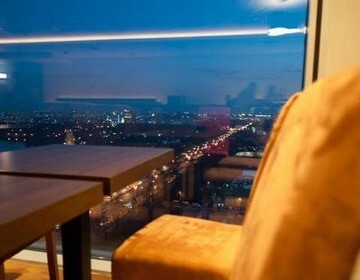 Restaurant and lounge at 18th Floor, panorama view over northern Bucharest, international cuisine. Locals in Bucharest have reviewd 18Lounge International in Bucharest. You can find here description, reviews, address, map, phone, website of 18Lounge International in Bucharest. Visit Bucharest Tips for more International restaurants in Bucharest!